While we talk about schools management system, they come up in many forms and sizes. 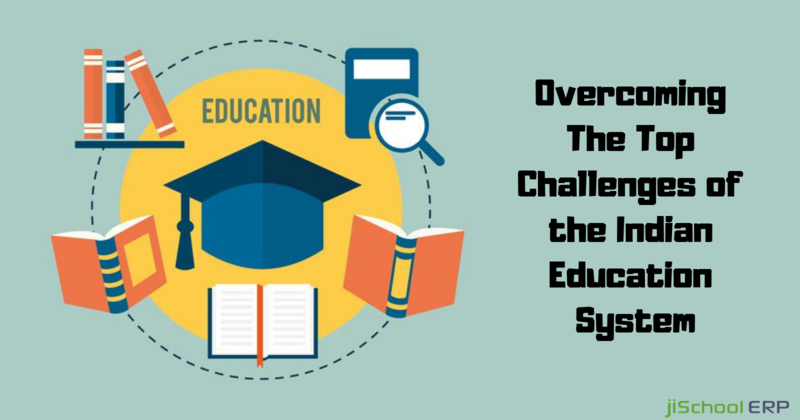 All the schools have different requirements depending on their campus needs, and therefore it is essential for them to find a software which can cater to all those needs perfectly. 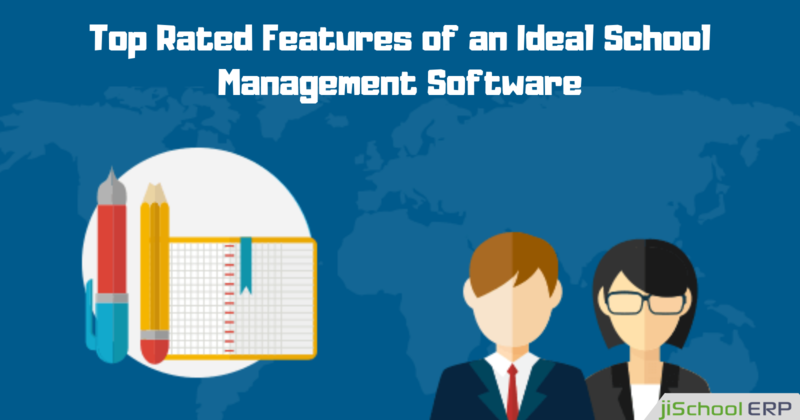 Every school management software includes some default features like fee management, attendance, library, examination, etc, but one can customize the software and can include some of the additional features like transport management, SMS alerts, multi-school management, and a lot more. 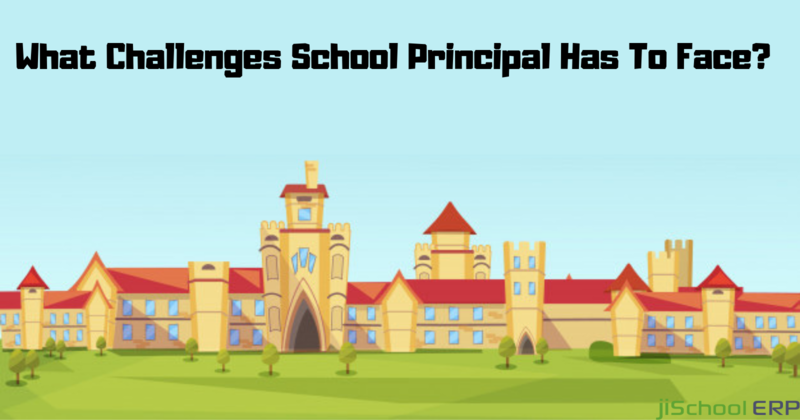 How to choose the right school management software? While you are looking for the perfect school management software for your school, it is necessary that you spend enough time looking for the features that meet your requirements before proceeding further. 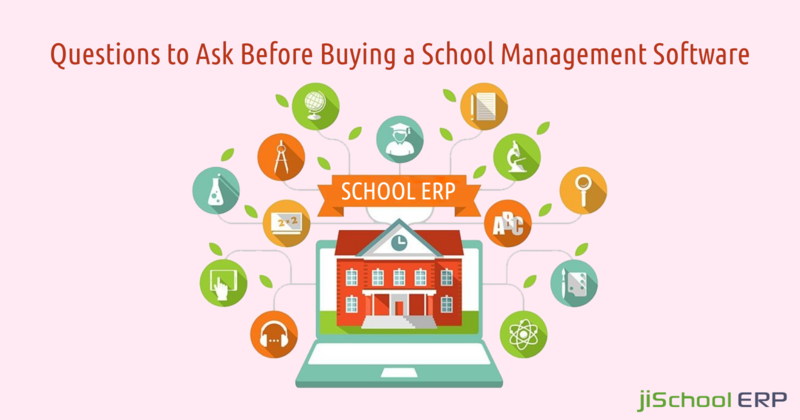 Simply because this will be a one-time investment and you need to take a decision with full research and attention it is important to interrogate completely to the vendor before choosing a school management system for your school. 1. What are the features offered and are they suitable as per your school requirements? Firstly, you need to discuss your school’s requirements, what all features do you need in your school. If yours is a startup school with less strength, you would be looking to add some limited and basic features only. So, depending on the size and other factors, make sure that your requirements match the features offered by the vendor. 2. Does the vendor offer mobile access to data over multiple platforms? You need to make sure that the vendor offers access to information and other data reports over multiple platforms like Android, iPhone and offers easy access to it every time you need. Moreover, the school mobile app must be capable of sending emails, notifications, reminders to the parents, teachers, and students in real time. 3. Is the software scalable enough? It might be possible that today you are not having good strength at your school, but it might expand in the future. You need to make sure that the software even works smoothly in case of huge traffic when the student strength multiplies. 4. Does it have any security and backup factors? You need to ask your vendor where do they store their data and what security aspects do they maintain to safeguard the students and school data. You simply can’t compromise with the student's data, so you need to ensure the security features. Moreover, you should also know if they carry out regular automatic backups or not and how often are these backups made. 5. Is it easy to integrate and how much time will it take to implement? Nobody loves complications. And the same implies when we talk about the school management software. You need to get a software which is easy to integrate, manage, and monitor in future. You just can’t look for technical support every now and then. Moreover, ask the vendor that how much time will they take while the software is implemented in your school. 6. What about the budget? If the vendor is offering limited features and is demanding a higher price, or if the vendor doesn't hold good experience in the field and asks for a price which is out of your budget, it’s time to rethink. There are many software which offers all the features at the most affordable prices. So, discuss your budget with the vendor and then proceed. No doubt, you'll find plenty of school management software and not all will be able to cater to all your needs. jiSchoolERP Is one such ideal school management software which lets you streamline all the school tasks in the most budget-friendly manner. Still not convinced? Get in touch with us and know more about the exciting services of jiSchoolERP.